Have you had toenail fungus? It doesn’t look pretty, does it? Not only that, it is also contagious and can cause other complications. Toenail fungus affects 35 million people worldwide, and the ones who are the most susceptible to this condition are people with a compromised immune system. That’s why it is urgent that you begin treating toenail fungus as soon as you suspect you have contracted it, so that you can prevent it from spreading to other parts of your body or infecting someone else. Onychomycosis is one of the most common nail fungal infections. It is also known as “tinea unguium” or “dermatophytic onychomycosis”. It is caused by several various types of fungus, but the most common is the fungi called dermatophytes. Who is at risk for nail fungal infections? Yes, toenail fungus is quite contagious. In fact, if you have toenail fungus, it is most likely that you have contracted it from someone else. Wearing moist shoes and socks and sharing your footwear with someone else are also candidates for contracting toenail fungus. You can get toenail fungus too from walking barefoot in public and communal areas such as locker rooms, swimming pools and public baths, as fungus loves to thrive in dark, most and warm areas. Taking preventative measures will help you from spreading the fungus to other parts of your body as well as from infecting someone else. Drying your shoes under the sun while they’re not being worn is an effective way to kill fungus spores, thus preventing them from spreading. If you have toenail fungus, here are some products which can help you treat it and avoid spreading it to other people. How can toenail fungus be avoided? Always keep your nails short. In trimming your toenails, cut each nail straight across. Avoid going barefoot in public. Do not share your shoes, socks, nail clippers, nail files and any other nail accessories, to someone else. Always make sure to dry your feet after bathing, which is more important especially if you share the bathroom with someone else. When going to a salon, make sure that that their tools are sterilized. If you ever touched an infected nail, wash your hands right away. Touching the infection and then touching other parts of your body may cause the fungus to spread. Make sure to check your feet and toes regularly. If you see any changes in your toenails such as discoloration or brittleness, go to your podiatrist. This is a chance for you to see whether these changes are an indication of a presence of fungus, while early. There are several ways to treat toenail fungus. First though, keep in mind about how bad the infection has gone so that it can be treated accordingly. The earlier the detection, the sooner and the more effective the treatments will be. This product eliminates nail fungus, is safe and gentle and has a maximum strength repair and protection. The powerful formula has been thoroughly tested for proven results in killing nail fungus on both toenails and fingernails, and is natural anti-fungal pen fights against fungus without any discomfort or pain. This contains organic Lavender, Eucalyptus and Tea Tree essential oils. It has natural skin-soothing and antifungal properties of our ingredients which will help alleviate fungal skin infections, nail fungus infections, eczema and ringworm. It will also alleviate athlete’s foot, jock itch and skin dryness. 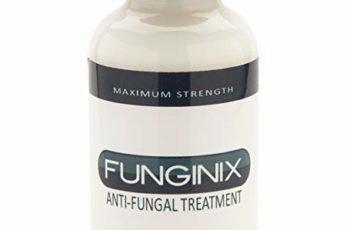 This product is the most popular toenail fungus treatment and is clinically proven to treat 99.9% of nail fungus infections with its incredible natural ingredients. The ingredients of this product include Carvacrol, Extra Virgin Olive Oil, Essential Tea Tree Oil, Almond Oil and Oregano Oil is extremely effective in fighting against different types of fungal infection including jock itch and athlete’s foot. This is the most affordable toenail fungus treatment and is one of the best-selling toenail fungus treatment on the market today. It comes with an easy to use applicator brush, and you can apply it twice daily, once before you put your sock and shoes on in the morning and once before you go to bed at night as well. All the ingredients listed in this treatment are FDA approved and are very effective in treating toenail fungus. It also has an affordable price and a 90-day money back guarantee if you aren’t completely satisfied. This product is considered as the best toenail fungus treatment. It is made up of blend potent active ingredients, essential oils and plant extracts. Some of the ingredients involved in this powerful treatment include Tea Tree Oil, Sunflower Seed Oils and Undecylenic which is recognized by the FDA as an effective treatment for fungal infections of the nails. This also comes with a built-in applicator brush. It is applied with the brush twice daily to the affected nails and surrounding cuticles. You get an amazing 60-day money back guarantee, no questions asked, with this tropical treatment. Toenail fungus is contagious, so when you feel you have it, check the symptoms and if it is positive that you have toenail fungus, treat it before it spreads to your family or friends.